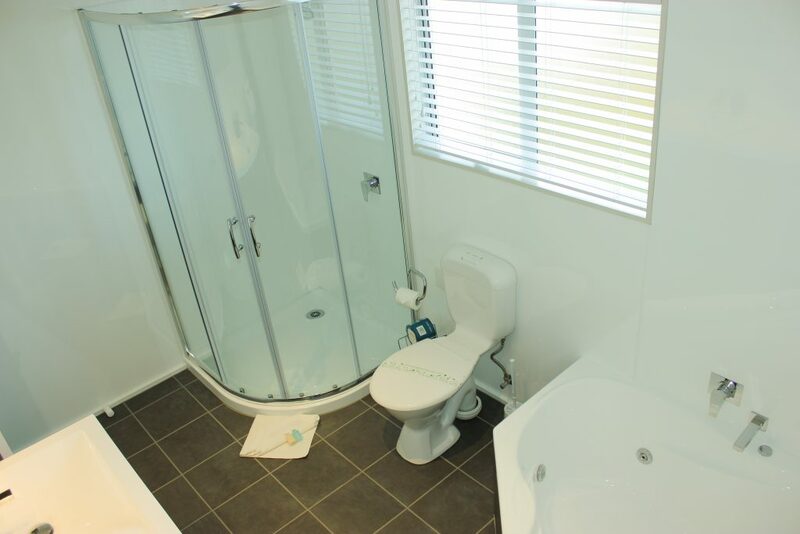 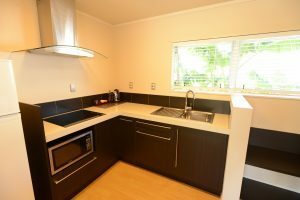 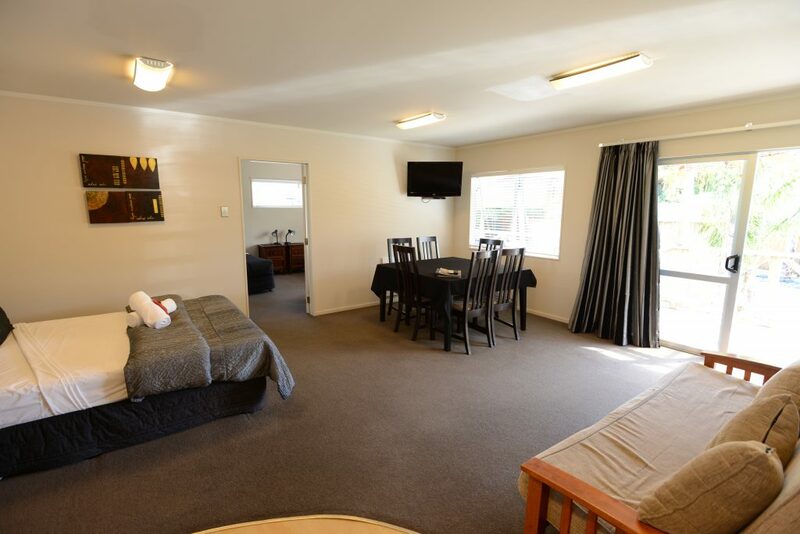 This unit is open plan and very spacious, being able to accommodate up to 6 people. In the main lounge area, it has 1 Super King bed and 1 fold out couch, dining area with a full cook top kitchen and fridge freezer. 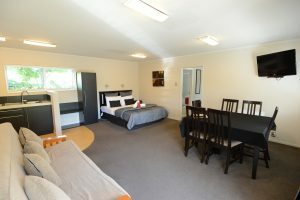 The separate bedroom has 3 single beds. 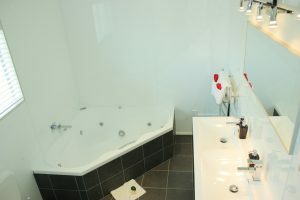 The bathroom has a spa bath, shower and toilet. 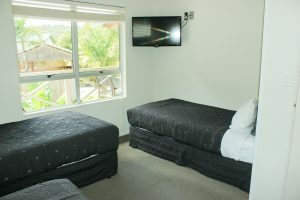 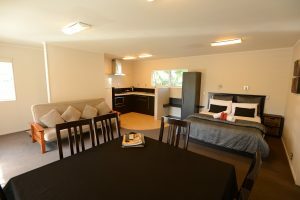 This is a ground floor unit with views up into the Coromandel ranges from a large balcony area, great for families wanting to escape for the weekend, or longer.